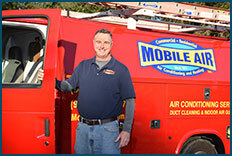 Jody has been a state-certified HVAC contractor (CAC050435) for more than 25 years, and he has more than 40 years of experience in the industry. He began carrying his father’s tool tray when he was six years old during summer vacations. He continued working for the business throughout school and became a full-time, EPA Certified employee in 1984. Jody’s strengths include his knowledge, hard work ethic, dedication to the family business, and high level of customer service. Jody was born in Bradenton, Florida. He is a proud parent of three children; Krystal, Thomas, and Lauren, and have two grandchildren. In his free time, Jody enjoys outdoor activities, scuba diving, and cattle ranching. 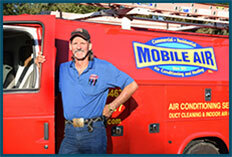 Licensed (RA0033490) and certified by the EPA, Roger Craton founded Mobile Air in 1972. 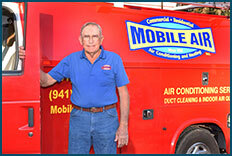 He was inspired to start his own company after working for a local air conditioning business in the 1960s. Driven by a hard work ethic and wanting to provide for his family, Roger was a one-man team doing it all. The humble beginnings, quality work, and customer care are all attributes that led to the company’s success today. Roger’s focus has always been on customers and getting the job done right. He believes honesty and courtesy are what people want and deserve to get. In his free time, he enjoys outdoor activities, projects at home, agriculture, and taking care of his horses and cows. 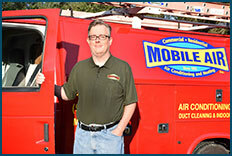 Darrell has more than seven years of experience in the air conditioning and heating industry and is EPA certified. As the shop and supply supervisor, he keeps all of our operations running smoothly and makes sure every job has the right materials. He is dependable and highly organized, which makes him an asset to our team. Darrell was born in Bradenton, Florida, and enjoys fishing in his spare time. 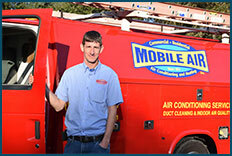 Jim has worked in the HVAC industry since 1999 and is EPA certified. 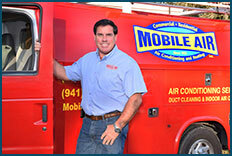 He is well-versed in all aspects of the industry, including sales, service, and installation. Jim is a quick problem solver and is great at listening and answering customer questions. Jim proudly served in the military for seven years as a nuclear biological chemical specialist. He is married and has two daughters and two step-daughters. In his free time, he enjoys racing RC cars and building model airplanes. 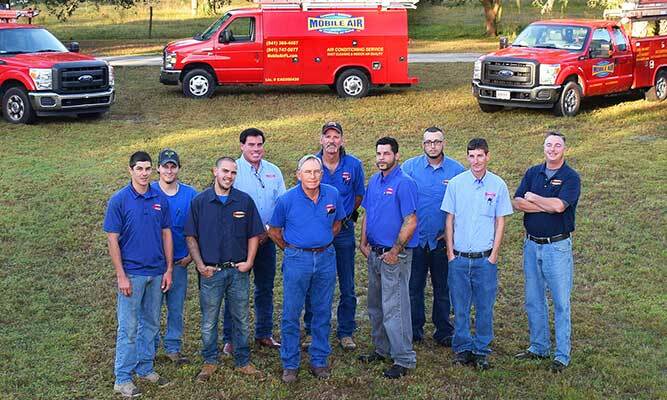 Corey specializes in installations and ductwork, which stems from the experience he gained working for Pressley Metal Services constructing metal ductwork. 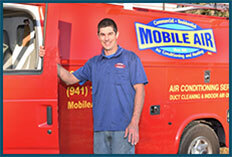 Corey is EPA certified, respectful, reliable, and has a great work ethic. He was born and raised in Palmetto, Florida. He is an outdoorsman and enjoys fishing and boating in his free time. Todd is EPA certified and has more than 27 years of experience in HVAC and sheet metal fabrication, making him a knowledgeable addition to our team. In his spare time, Todd loves catching fish, kayaking, and spending time with his family. 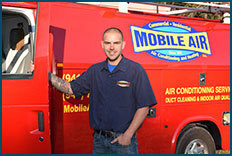 Dustin is an excellent addition to our installation team (Link to AC Replacement/Installation). He has a "can do" attitude and is willing to go the extra mile to get a quality job done efficiently. Dustin was raised in Duette, Florida, on a century pioneer farm. He is an outdoorsman, fisherman, and ex-rodeo bull rider. 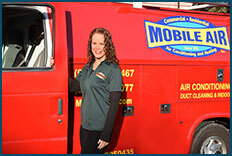 Christina joined the Mobile Air team after being a customer for over 15 years. 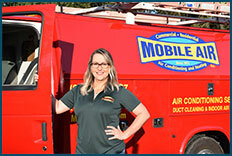 She has over 10 years of experience in marketing, and has been in customer service for over 20 years. Her mission is to improve the lives of others through education, motivation and discipline. She is passionate about helping people achieve health, wellness and consciousness. Christina holds a Bachelor’s degree from the University of Miami and is certified in Personal Training and Nutrition. While off the clock, Christina prefers to spend time with her fiancé and her 10 year old daughter. She enjoys weightlifting, yoga, reading, bowling, movies and sunsets. She leads a Girl Scout troop and is involved with several philanthropic and activist organizations. Aaron has over 25 years of experience as an accredited accountant. He holds a Bacherlor’s degree in accounting from the University of South Florida and a Bachelor’s degree in finance from Florida Atlantic University. Aaron was born and raised in Sarasota, FL. In his spare time, he enjoys spending time at the beach and fishing. Starting my journey in my 30's, I'm a single mom. We enjoy hanging out with our family, cooking out, and riding 4wheelers. I was born and raised in Manatee County and have also spent several years in Pittsburgh, Pa.